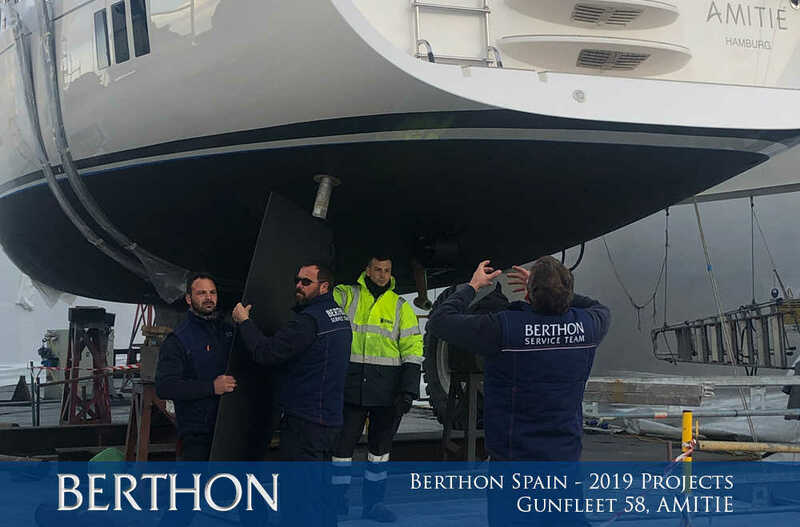 It’s the New Year and Berthon Spain are already working at full steam. Over the next five months we are hauling a different boat out every week as well as running countless projects. I couldn’t be happier with the team we have right now and I’m delighted that we are taking on another two staff members in the coming weeks. Addy Daly has recently joined us from Palmawatch and has taken over the guardiennage. She is building an incredible department which is running like clockwork. The ever faithful and extremely talented Nick McMullen remains at the helm of the engineering department, which consistently delivers project after project to an impeccable standard and timescale. We are just coming to the end of an engine and generator installation on an Oyster 55 and next week we will be moving on to our two Gunfleet 58’s, which are always a pleasure to work on. Both these boats have centreboards that need to be dropped out and all of the running gear must be checked. Gunfleet 58 AMITIE has had headlining and sidelinings replaced, including a lot of woodwork. Sistership LATOBE is also receiving the works with the installation of a new hydraulic gangway, modification of metal work, servicing of the engine & generator, anti-fouling and lots of polishing and anode replacements. Following on from this, we will move onto a Princess 60 with all the normal out of water service work, a Princess 56 with a long list of repairs and improvements and then an Oyster 655 with a large list of winter works, including hatch replacement and wood repairs. 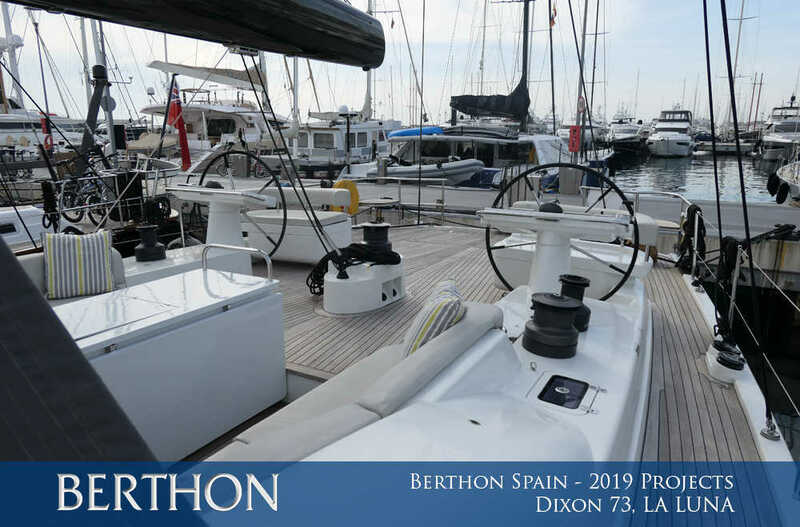 I’m also thrilled that we have recently welcomed Dixon 73 LA LUNA, from King Marine. This boat has without a doubt the coolest rig of any boat we have looked after. 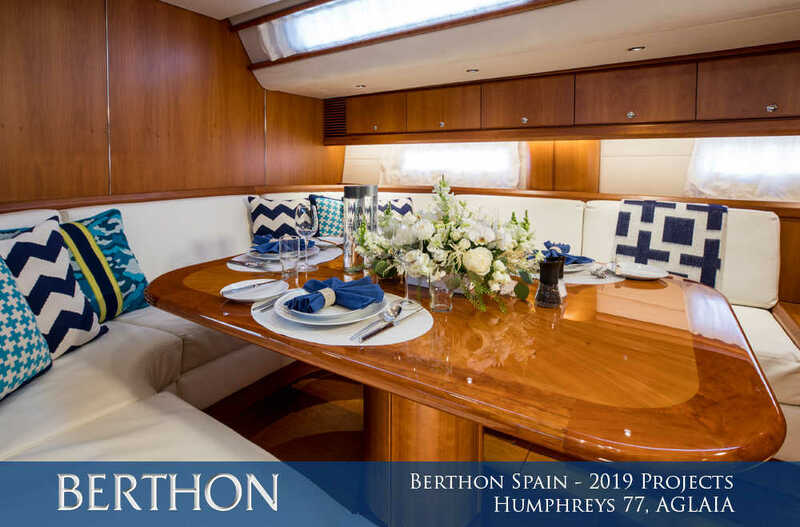 Following her quick pit stop refit and the conclusion of some winter works, she will be a stunning boat ready for the summer and very much for sale through Berthon’s brokerage team. 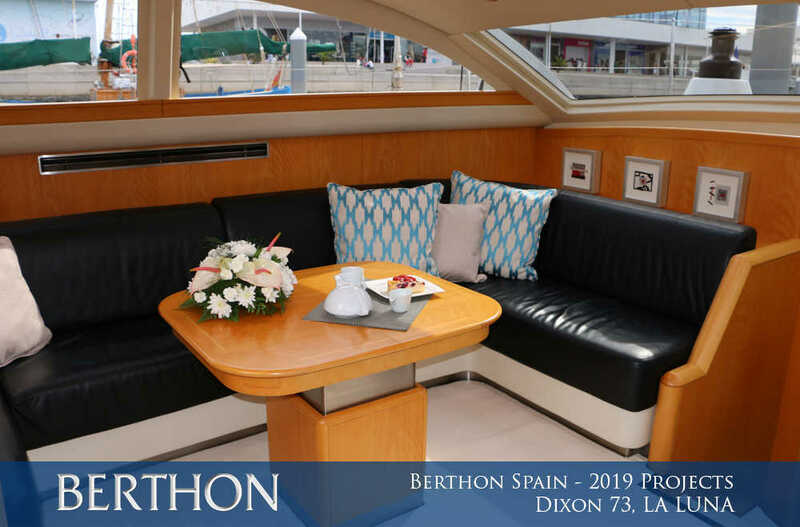 On this boat we will be replacing a lot of the old hydraulic lines, fixing a small amount of damage on the push-pit, giving the teak a good clean, polishing all of the topsides, fixing some broken window blinds, making some repairs to the teak and repairing some of the electrical system. We also have a large project on MIDNIGHT SUMMER DREAM, a Sunseeker 60 Manhattan. 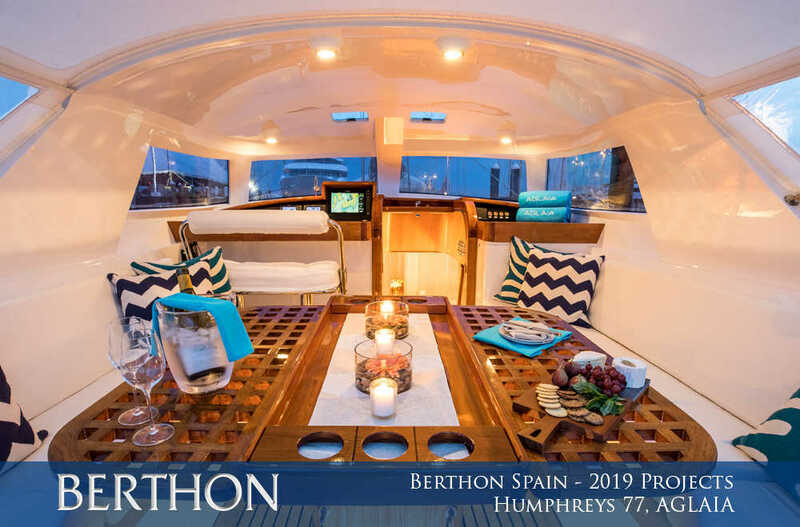 The owner wants to charter the boat this year and we therefore have to convert the aft storage area into a fully functioning crew cabin, complete with two beds, a heads and a shower. We must also incorporate the large amount of equipment already in there, such as the washer/dryer, water maker and water softener. 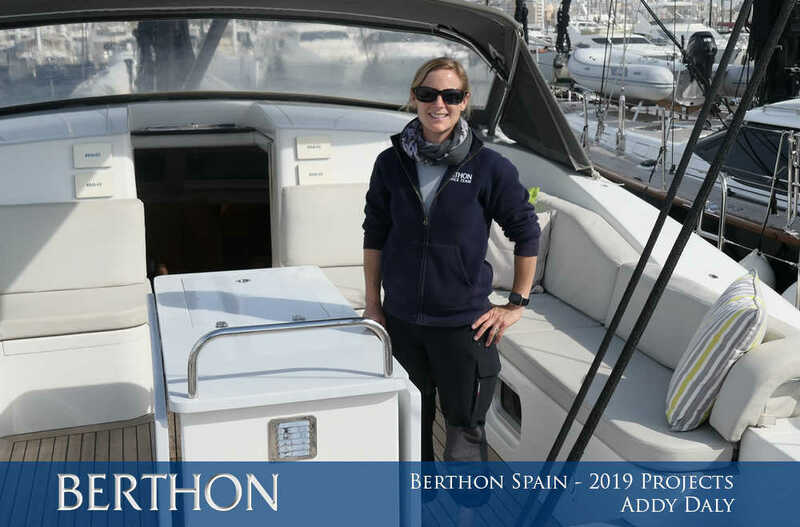 We are delighted that SY AGLAIA is now safely in Berthon Spain’s hands. 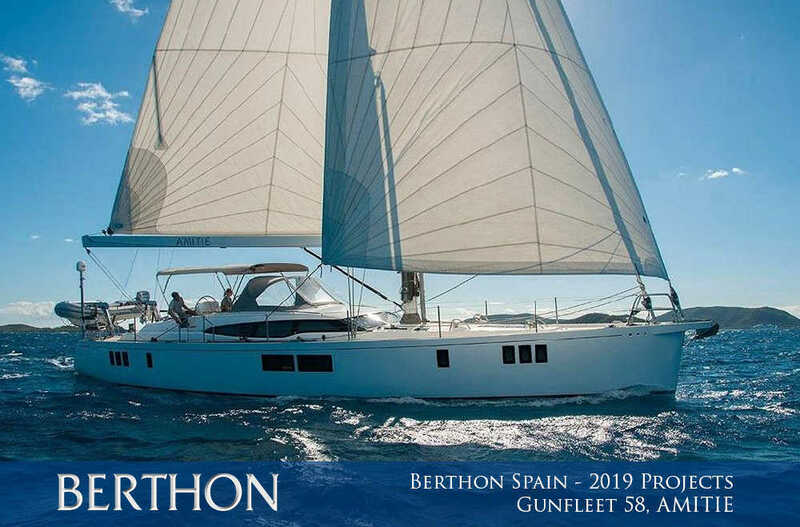 We all love this boat – she’s built like a tank but is still as elegant as a Swan! 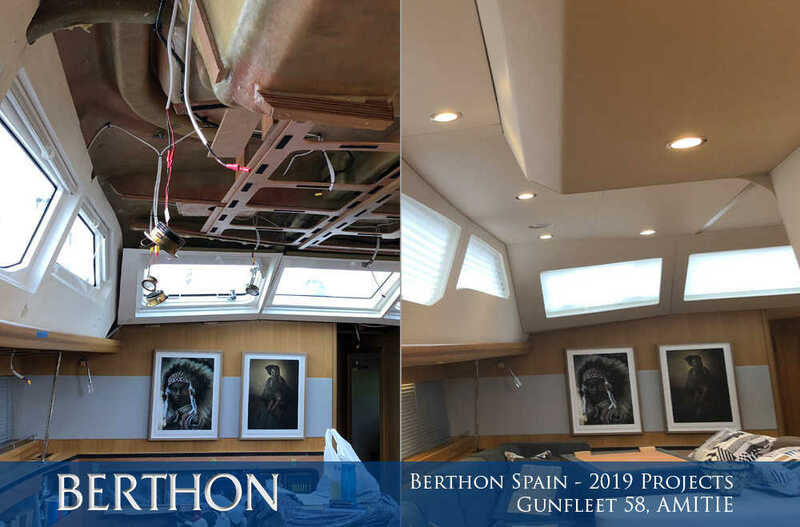 We have some varnish work to carry out on AGLAIA and a little paintwork, following which she will look as good as she did when she emerged from her extensive Berthon refit in 2016. 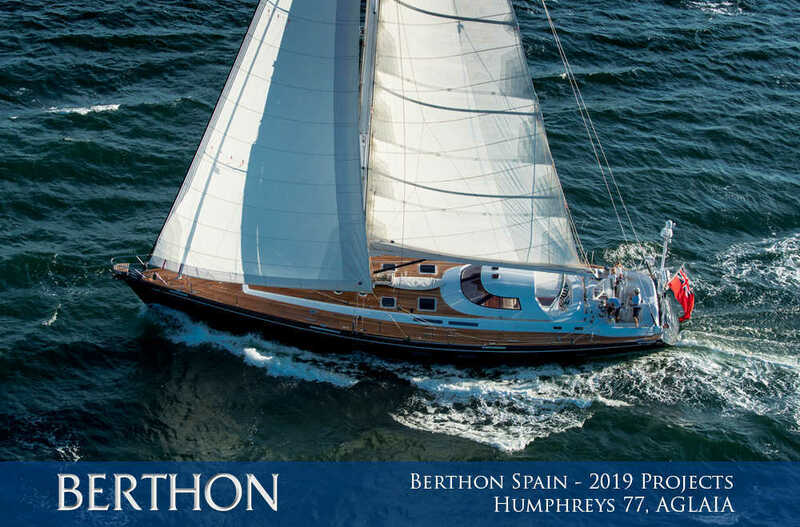 I haven’t yet had the pleasure of taking this boat out sailing but I’m looking forward to that prospect later in the year. For a self-confessed boat geek like me, this is the crème de la crème. I spent countless hours over my Christmas break getting to know her and marvelling at the superb finish inside and out! 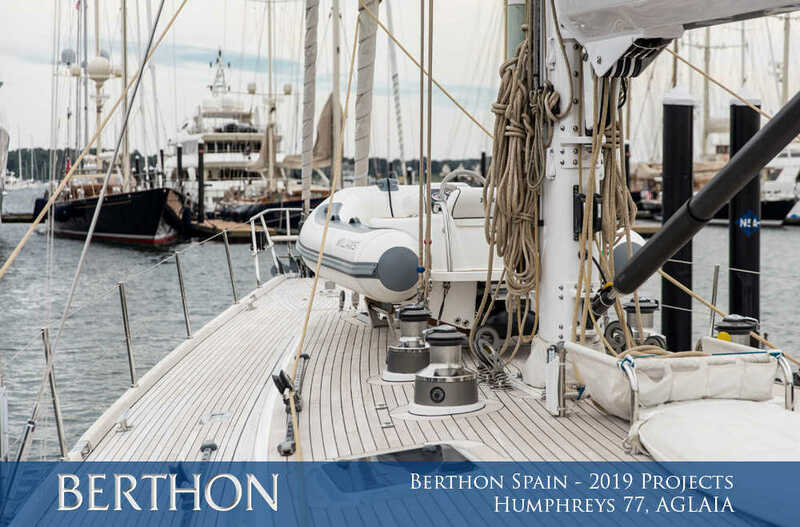 AGLAIA will soon be absolutely ready to start mile munching again with every conceivable system on board, all kept to our usual standard of perfection. 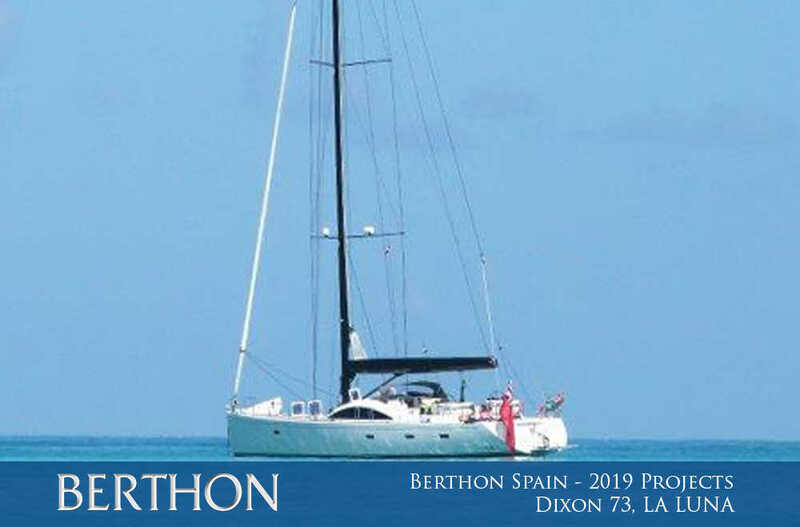 AGLAIA is for sale through Berthon.